Asia's economic dynamism remains unparalleled in the world. While the 2008 global financial crisis (GFC) may have sunk major economies, particularly in Europe, it made Asia an even stronger regional economy. Still, Asia has much to do to prepare for the next crisis. Donghyun Park, co-editor of the book "From Stress to Growth: Strengthening Asia's Financial Systems in a Post-Crisis World," and principal economist at ADB's Economic Research and Regional Cooperation Department, explains how Asian financial systems can help sustain the region's future growth. Launching of the book with the Peterson Institute for International Economics in Washington, D.C.
How was Asia able to survive the 2008 GFC? The region was engulfed in its own financial crisis in 1997. Since then, its financial systems have made a great deal of progress. In particular, extensive recapitalization, restructuring, and reform made Asian banks much healthier and resilient than their counterparts in other regions. This was why Asian financial systems were able to weather the 2008 GFC surprisingly well. However, Asia still has a long way to go to catch up with global financial centers in terms of the depth, liquidity and sophistication of its financial markets. This explains why Asia still recycles much of its savings in New York and London, rather than invest them within the region. What five key lessons must Asia learn from the GFC to make the region more prepared and resilient to tackle future crises? Mind your financial health. 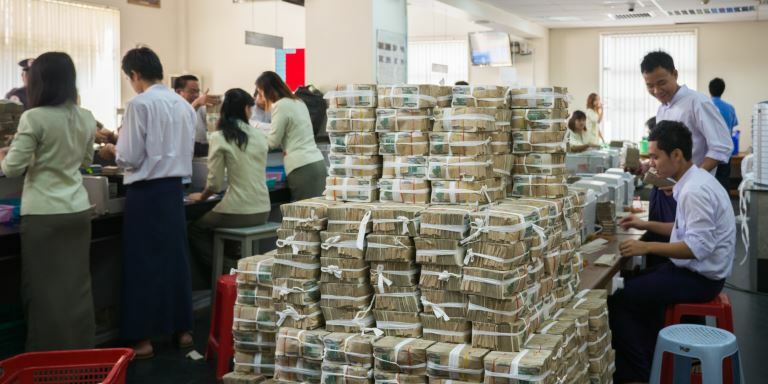 The stability of the finance sector is vital to the region's economic health. Financial instability harms growth, and exacerbates poverty and inequality. Treat bank regulation as the first line of defense. The GFC was triggered by the failure of regulators to keep pace with financial innovation. Thus, there is a need for strong, effective prudential regulation; and supervision of banks and financial institutions. Regulators must perform a tightrope act. The sobering lesson for Asia is that even financially advanced economies are susceptible to risks from lax regulation and reckless lending. Regulation must thus be strong as well as flexible so that investment and credit flow to the real economy. Go back to the basics. There is no substitute for politically difficult but economically vital structural reform when it comes to fostering strong medium- to long-term growth. Strong economic fundamentals, such as ample foreign exchange reserves and macroeconomic stability, remain vital for resilience against external shocks. Liberalize at your own pace. Foreign funds can be volatile and a potential source of financial instability. Thus it is best to open up your financial markets in a gradual, evolutionary way. How would stronger regional economic integration help Asia face future crises? The first line of defense against economic shocks is for each country to strengthen its domestic economy and financial system. Closer regional integration can definitely help. Both trade and financial integration will reduce vulnerability. Expanded intra-Asian trade can reduce the exposure of Asian countries to the business cycle of the advanced economies. Similarly, intra-Asian financial integration can mitigate the impact of financial shocks emanating from more advanced countries. Will all Asian economies survive the next big crisis? There is no knowing when the next big crisis will break out. However, the fact that Asia has not suffered a major crisis since the Asian financial crisis is no cause for complacency. Indeed, that devastating crisis of 1998 should serve as a constant reminder to Asian countries to remain vigilant and maintain strong fundamentals. Countries that have learned their GFC lessons well will do better in weathering future crises. Of course, countries at different stages of development need to manage crises differently. For example, it would be premature for countries with underdeveloped financial systems to open up to foreign capital flows compared with financially more advanced countries that are better positioned to liberalize. However, there are some core ingredients of resilience across all countries, regardless of income level. In particular, solid macroeconomic fundamentals and concerted structural reform can foster resilience. What role should multilateral institutions play in strengthening Asia's financial systems in a post-GFC world? Multilateral institutions such as ADB can contribute to Asia's financial stability by fostering the development of sound and efficient financial systems throughout the region. In lower income countries, where banks are the major players in the financial system, ADB can help promote healthy banks that allocate capital to productive investments. In more developed countries with a good mix of banks and capital markets, ADB can help in capital market development. In particular, in light of Asia's relatively underdeveloped bond markets, ADB can play the role of catalyst in developing those markets. Through initiatives such as the Asia Bond Market Initiative, the development of the bond market becomes a top regional priority as it helps to fill a big gap in the region's financial system, namely a stable source of long-term finance for infrastructure investment projects. M. Noland and D Park, ed. 2015. 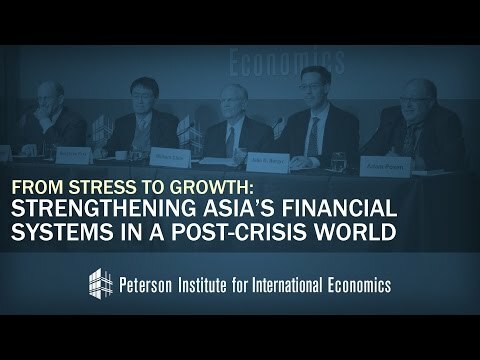 From Stress to Growth: Strengthening Asia's Financial Systems in a Post-Crisis World. Washington D.C., US: Asian Development Bank / Peterson Institute for International Economics.